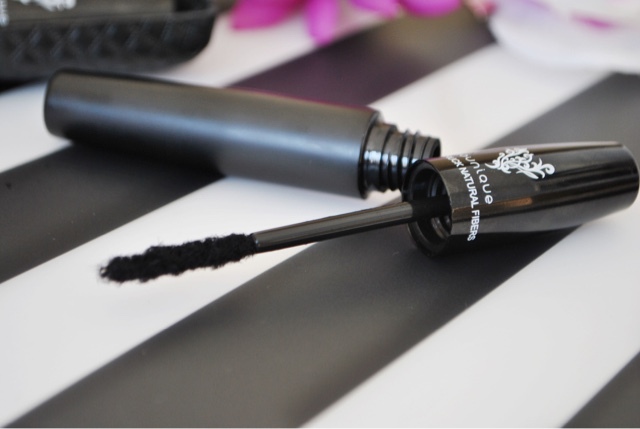 This isn't any normal mascara, call it magic mascara. I introduce to you, Moodstruck 3D Fibre lashes. I was abit frightened of it at first. Espesh when I opened it to find two applicators. Opened one and there's a bloody hairy wand. My expression was ' what the jiminey cricket is this', okay it may have been more 'french' than that. But after reading the leaflet that was provided then I felt more calm and at ease with it and couldn't wait to try it. One wand is natural fibres and the other is transplanting gel. 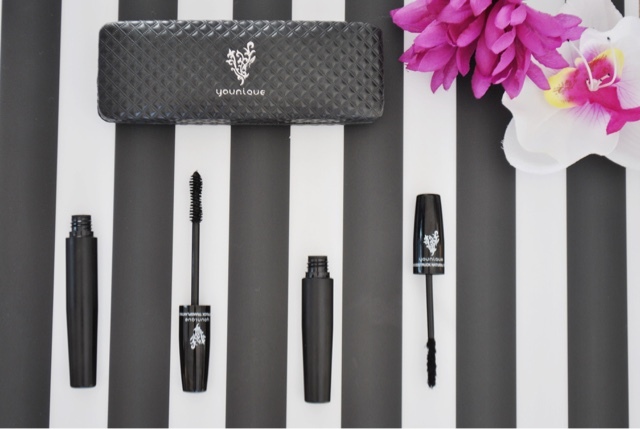 They work together to build up your own lashes to make them seem longer and thicker. 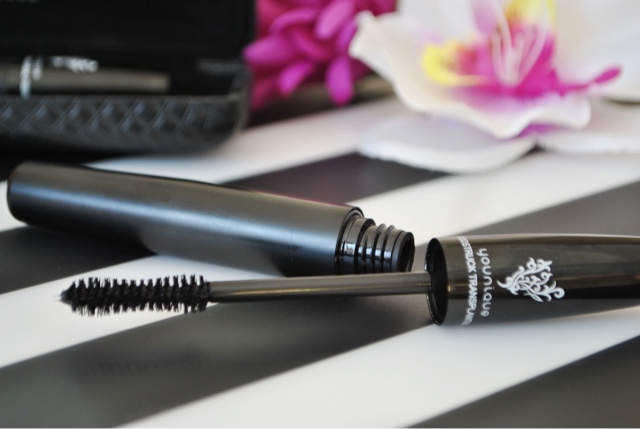 What you need to do is to apply your normal mascara first, leave to dry. 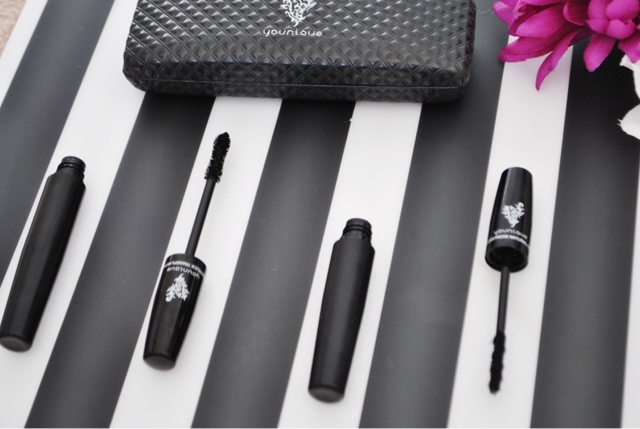 Then apply the natural fibres but make sure to be careful as they are loose and if you apply too close to the lash line then it will cause some discomfort. Also if you apply too many fibres then they will fall into your cheeks and therefore wasting them precious little magic bits. 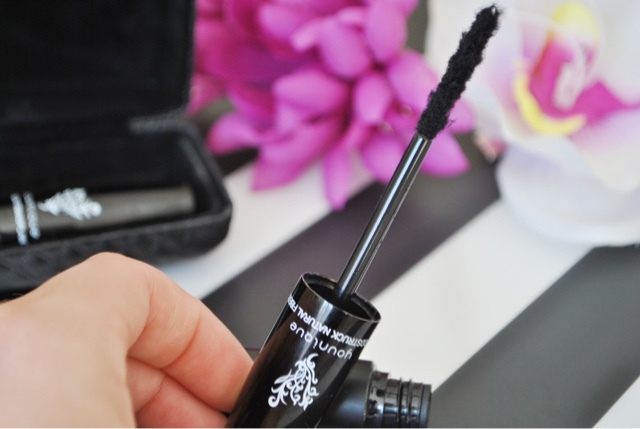 You then want to apply the transplanting gel on top of the fibres just like a normal mascara. This is setting the fibres and making sure they stay put. Do this one eye at a time. You can build it up more than once to create a more of an effect, let's say if you were going on a night out painting the town red then maybe do two or three layers instead of applying false lashes (which you are constantly aware of incase they come off). Use a lash comb to make lashes seem less clumpy. As you can see from the picture of my lashes, the right eye is using this mascara and the left eye is using normal mascara. My lashes on the right are longer and thicker and make more of a statement than the ones on the left. You would think it would be hard to take off but nothing a makeup wipe of cleanser won't get off! I've had harder problems taking Benefit They're Real mascara off than this to be honest. 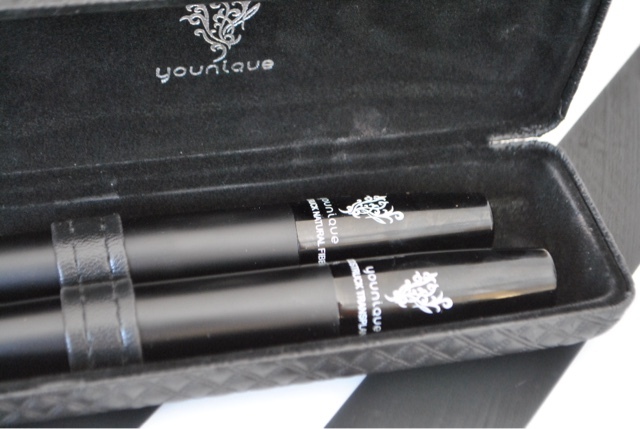 This mascara from Younique has been available in US, Canada and Australia and is now coming to the UK on the 1st Oct!! It is $29 which turns out to be about £18 which isn't bad but yeah more expensive than a normal mascara. But if you think of what you would save on false lashes then not so bad! You can also become a presenter yourself and earn some more pennies! How much are you intrigued by this?! I've seen so many instagram photos and clips of this and never knew quite what to believe on them. Great to see a real post on them. Kirsty, if you apply it as gel, fibers, gel there is very little mess! It did take some getting used to but it's fantastic! I do find that if I get some fibers on my face I use a q-tip to gently touch the fiber and it sticks to the q-tip like magic! 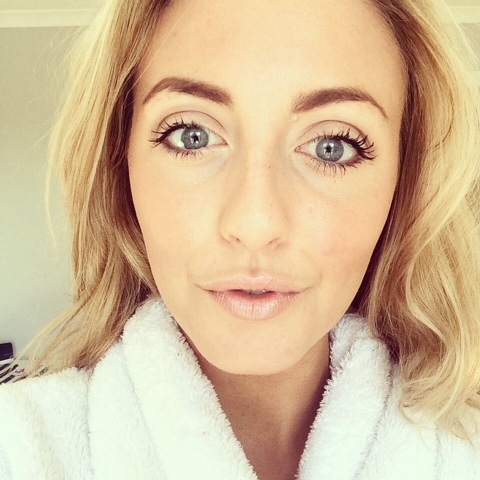 I get numerous comments on my lashes every day!